Disclaimer: The University of Missouri’s College of Veterinary Medicine often joins with its colleagues in the pharmaceutical, pet and livestock feed, and other related industries to present programs or sponsor events beneficial to the education of veterinary students. This relationship neither constitutes an endorsement of products or services offered by these companies nor is the CVM intending to influence students, faculty, or staff of the college to use those products or services. Decisions on sponsorship of programs or events are based solely on the educational merit of the material to be presented. 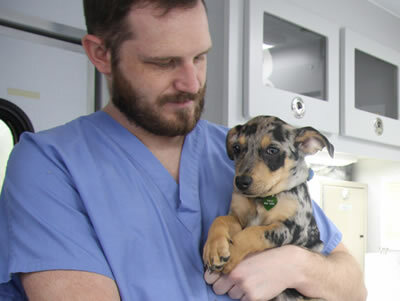 As medical professionals, veterinarians and veterinary students are expected to make judgments based on scientific evidence. Policy: The distribution or the sale of products and services on or off the College of Veterinary Medicine’s (CVM) campus to professional students, staff, and faculty other than those offered by official University of Missouri entities (e.g. the Veterinary Teaching Hospital, Diagnostic Laboratory, and the MVES Bookstore) must have prior approval by the office of the Associate Dean of Student Affairs. Any activity that is inconsistent with the mission of the College of Veterinary Medicine (CVM) or is in competition with the CVM / MVES bookstore is prohibited. The Dean’s office (with input from the faculty) reserves the right to stop distribution of any product, educational material, marketing material or external speaker’s appearance that violates the mission of the CVM. The entity must ask the Dean’s office for permission to seek student representatives for their company. This request will be submitted through the office of the Associate Dean for Student Affairs. The entity must submit a written request to seek/select a student representative to represent their company on the MU CVM campus. Students must be in good academic standing and have at least one semester of academic experience to be approved. Name of external speaker and topic of the presentation. Types of products, materials, or services to be distributed or marketed. Associate Dean of Student Affairs will review the proposal and forward the materials to appropriate faculty for advice on approval of distribution of products, educational materials, marketing materials or invitations to external speakers. Policy approved by the College of Veterinary Medicine Dean, Associate Deans, Department Chairs, and Directors on February 13, 2012.